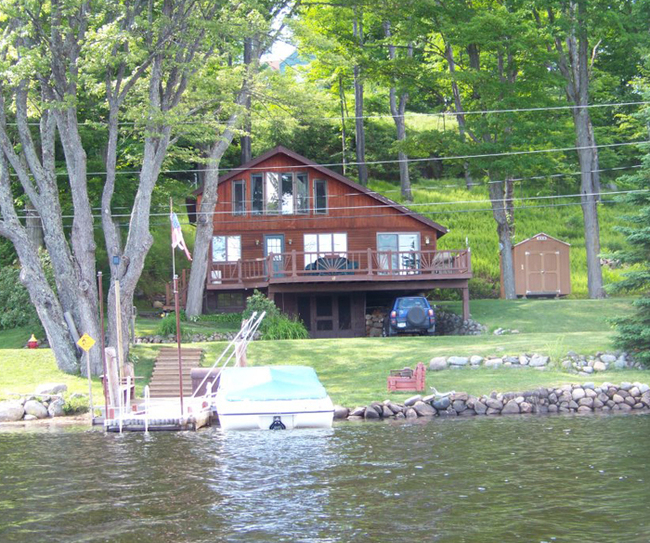 Adirondack vacation rentals managed by our office, provide a lovely opportunity to experience Adirondack living! Contact our rental specialists to reserve your get-away soon. Waters Edge Camp on Lake Simond An Adirondack rustic camp reminiscent of the camps in the Adirondacks years ago! Only steps away from the sandy beach and boat dock. With 3BR's, 1BA there's plenty of room for the whole family. There is a fully equipped kitchen which includes Microwave, electric range, refrigerator, coffee make, pots, pans, dishes, etc... Linens are provided but you must bring your own towels and washcloths. Amenities include: gas grill, canoe and row boat (use at your own risk). Bring your own life jackets!! Relax and roast marshmallows by the outside fireplace. Enjoy a soak in the claw foot tub or rinse off in the separate shower. Close to the Wild Center, Public Observatory and TL Golf Club. 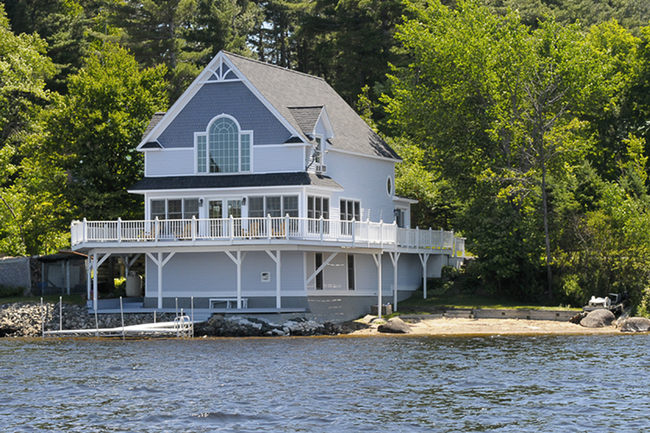 The lake and mountain views are spectacular from the dock or enclosed porch. Enjoy boating, fishing and swimming in the clean clear waters of Lake Simond in the Adirondack Mountains. No pets. No smoking. 5% Franklin County Tax of $40.00 will be added to your $800.00 rental fee. There is also a $500.00 refundable security deposit that will be returned to you within 30 days after you vacate the property after it's deemed everything is ok.
Camp Ceda on Little Wolf Two, family cabins on sandy, Little Wolf Lake. Cabin One, has three bedrooms and one bath.It has a fireplace in the living, and all the comforts of home: coffee maker, toaster and microwave. 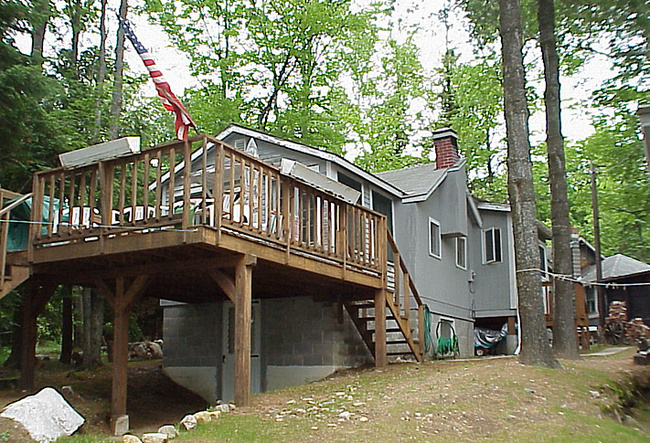 Outside you can enjoy the gas grill, fire pit, floating dock, paddle boat, and waterfront deck. 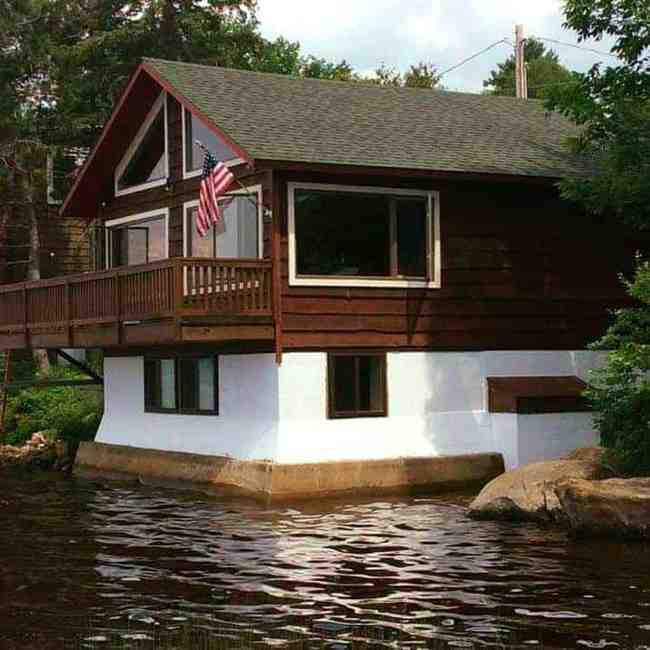 (Cabin One - $900.00 per week) Included is a canoe. Linens: 3 full size beds. Cabin Two: has one bedroom with two, twin beds. Living room and fully furnished kitchen.It is winterized for winter stays. It also has a wood stove. 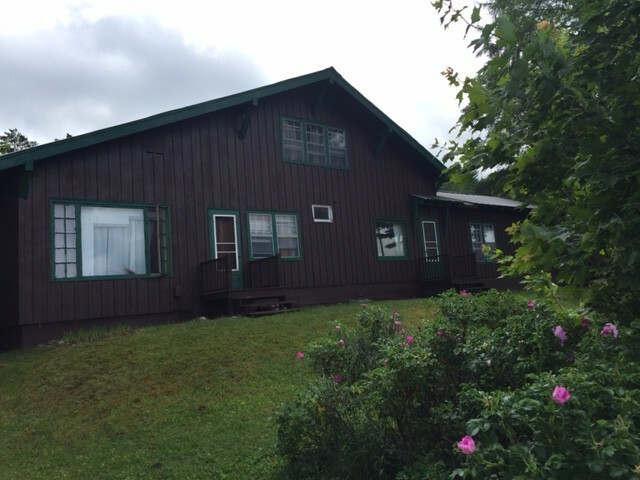 (Cabin Two - $600.00 per week) Linens: Two, twin size beds. 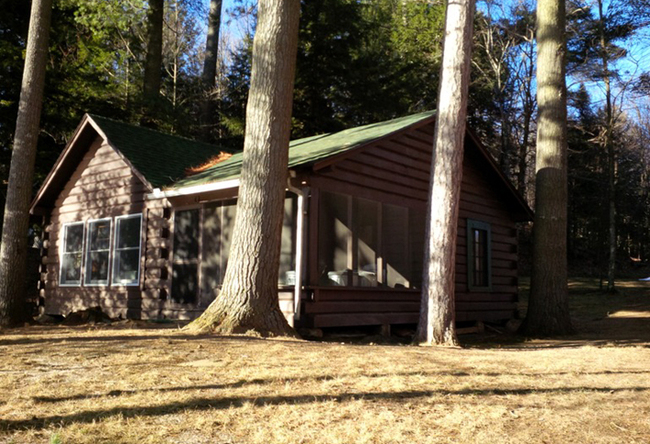 Rental for Cabin One and Two - $1500.00 5% Franklin County Tax will be added to rental. 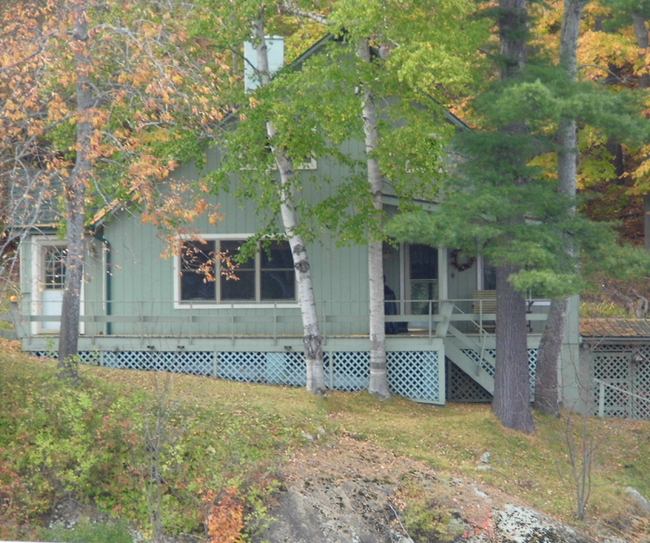 Home on the River on Raquette River Welcome to “Home on the River” in the heart of the Adirondack Mountains. 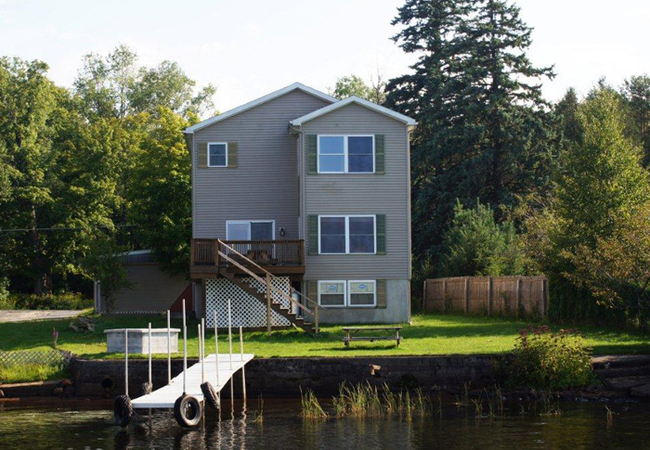 At our home you can relax on the over-sized deck that overlooks the Raquette River and Lake Simond. The Raquette River is only a few steps away where you can enjoy boating, canoeing, swimming, fishing and much more. 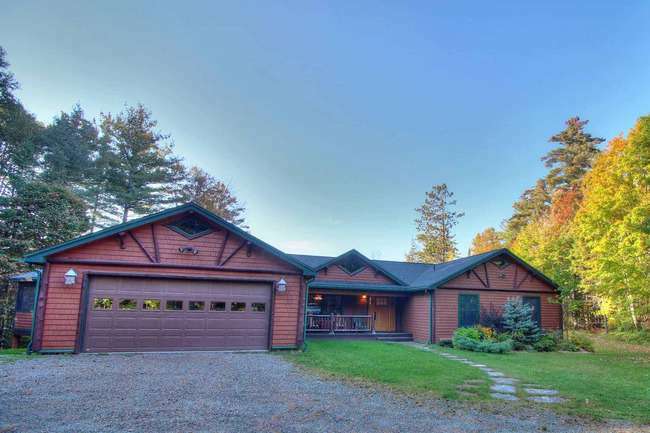 You have easy direct access into Big Tupper Lake and Lake Simond. The sunset views are spectacular. We are located just a short drive away from the village center where you can do some shopping, eat a good dinner and just meander the shops along the main street. We are a short 30 minute drive to Lake Placid. Put your feet up and take a deep relaxing breath and fill your lungs with the fresh mountain air!! 5% Franklin County tax will be added to rental. The Shore Shack sits right at the water's edge! 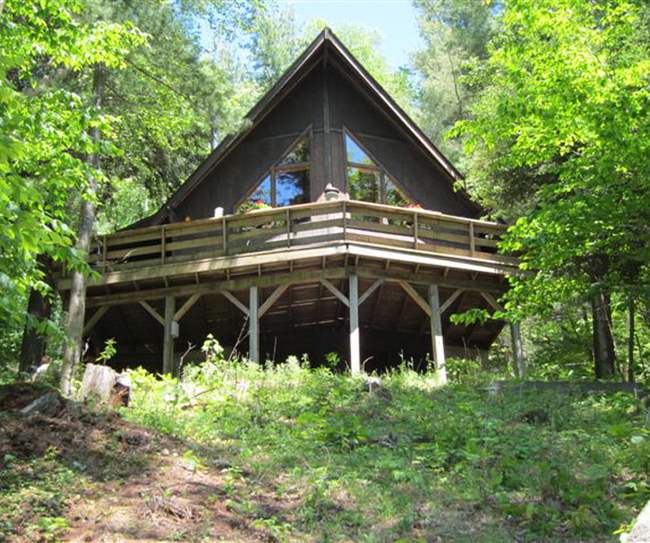 Enjoy quiet nights overlooking Big Tupper Lake and the Adirondack Mountains from the outdoor deck. With lots of windows that let in natural light you can soak in the view from the living room and kitchen areas. This home offers 1 BR with a queen bed, a loft accessed via a ladder with a full futon, a pull out full size couch and 1 Bathroom. All linens are included. The kitchen is has everything you need. Take a swim at the sandy beach area, dock your boat at your own private dock and catch some fish too! Throw some steaks on the gas grill. There are 2 kayaks for your use. No smoking and No pets. There is a 6 person maximum occupancy including children. Saturday to Saturday rental period during peak summer weeks. Just pack your clothes and enjoy! 5% Franklin County Tax will be added. 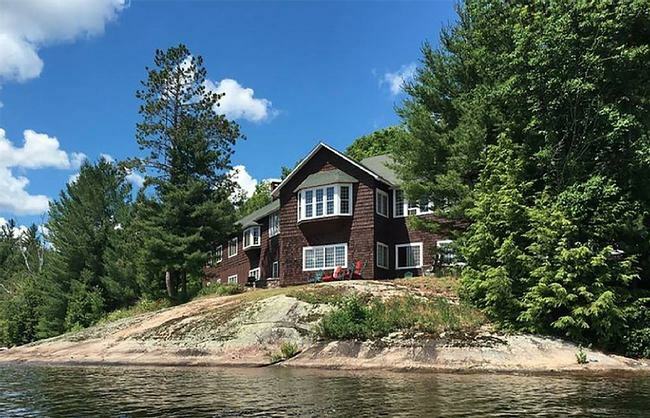 Listed by Gillis Realty Inc.
Sunset Cottage on Little Wolf Lake Let Sunset Cottage be your Adirondack Getaway. The sunsets are spectacular at this lakeside cottage. You can relax on the large deck that overlooks the lake or read a book on the screened in porch. The lawn is level to the water and where you can enjoy the sandy beach area. There is also a swim float. (Sometimes is taken out of the water due to low water for safety reasons) The property is surrounded by trees so affords some privacy. There is 3BR and 1 BA with stand up shower. (BR 1 - 1 queen, BR 2-1 full, BR 3-2 twins). Gas BBQ grill, fully equipped kitchen. Linens not included. Please bring sheets, pillowcases, towels and wash cloths. Blankets and pillows are there for you. 5% Franklin County Tax will be added. Camp Sunshine on Lake Simond You will enjoy Camp Sunshine. Sunshine and lovely views are it’s hallmark outside. Relax on the deck overlooking the lake or roast marshmallows in the outdoor fireplace. Inside is comfortable living and a touch of class. Three roomy bedrooms and 2.5 baths let you relax in comfort. 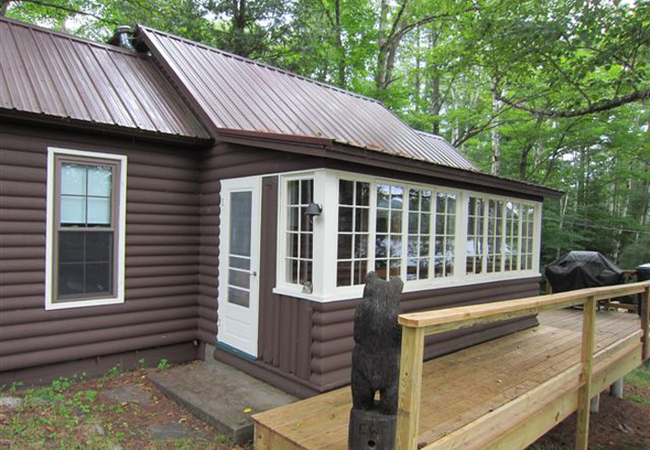 Granite kitchen and new everything will make your Adirondack vacation fun for everyone. 5% Franklin County Tax will be added. Log onto Tupper Lake Chamber for area information. For downhill skiing, check Ski Big Tupper for details. For golf check TL Golf Club. 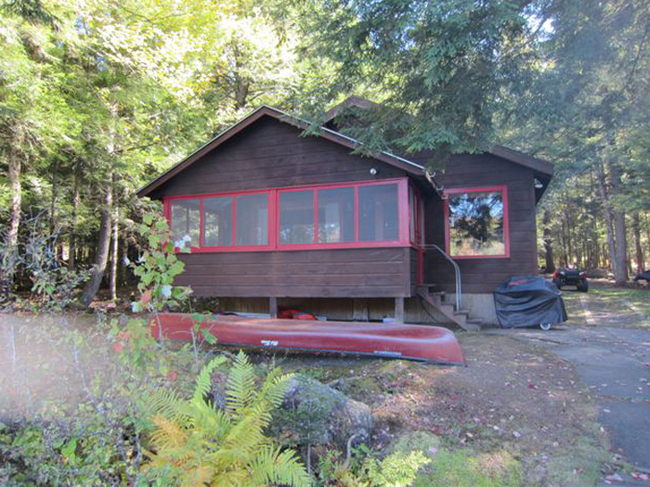 Raquette River Camp on the Raquette River Raquette River Camp is a 4 bedroom, 2 bath home on the Raquette River where it meets Lake Simond and Big Tupper Lake. Remodeled to comfortable perfection you will love your stay. The afternoon sun comes right inside to get you. The lake and mountain views are some of Tupper Lake's best. 5% Franklin County Tax will be added. $75.00 cleaning fee require. $100.00 will be added for each adult over the 4 adult limit. Log onto Tupper Lake Chamber for area information. For downhill skiing, check Ski Big Tupper for details. For golf check TL Golf Club. Customer review: Gillis Realty made finding and renting this house effortless and we really enjoyed the month we stayed. The great room, deck, and modern, well-done kitchen and bathrooms are perfect for vacation living! We loved the location, too. The view is beautiful. And what a pleasure to keep our canoe right at the dock and go for lazy, late afternoon paddles. Alexandra B. Fun for the whole family!! 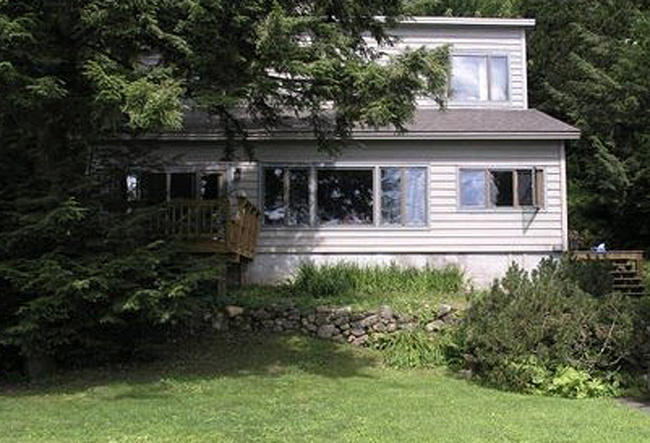 Your entire family will enjoy this beautiful, spacious Adirondack Property. Perfect for family reunions and other gatherings. The 3200 sq. ft. home has 4 spacious bedrooms and 2 bathrooms with attached 1 bedroom and 1 bath suite. 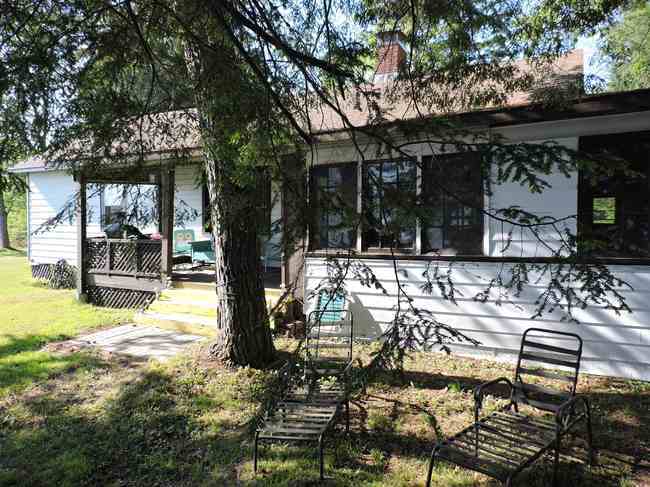 Enjoy the view of Big Tupper Lake from the picnic area, on the deck or screened-in porch. 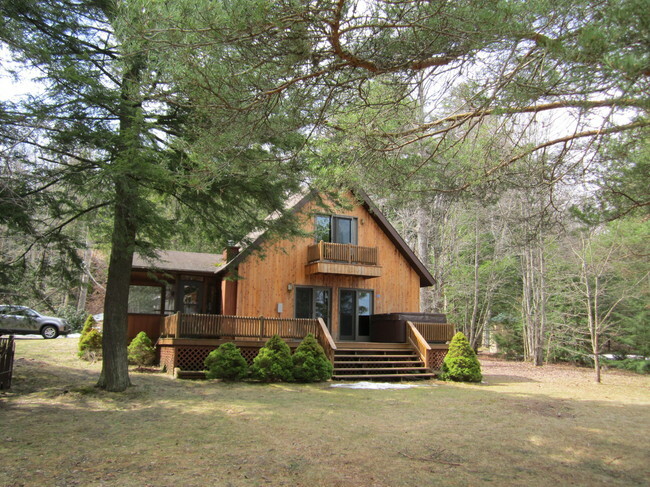 The home is across the road from the 400' sandy beach overlooking the lake. Spend time on this private beach where you can swim or dock your boat. (access to the state boat launch is 1/2 mile away). There is an additional 5% Franklin County Tax added to your rental fee. In 1906 the Read Family commissioned a New York Architect to design and create the perfect Adirondack Camp. 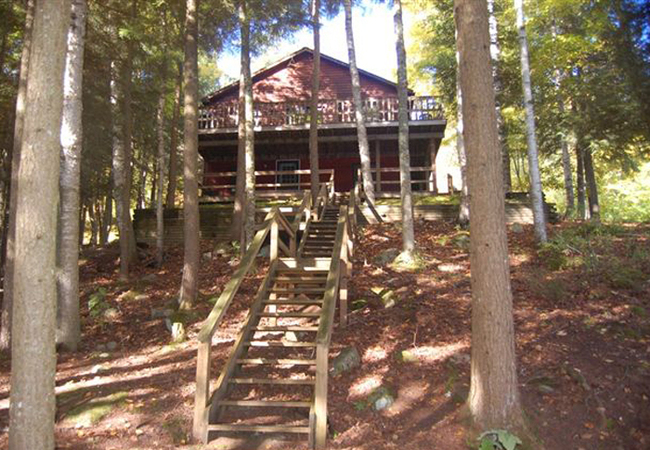 Still owned and meticulously maintained by the family, this Historic Great Camp is featured in the book "Great Camps of the Adirondacks" as one of the most original and unique retreats in the Adirondack Park. 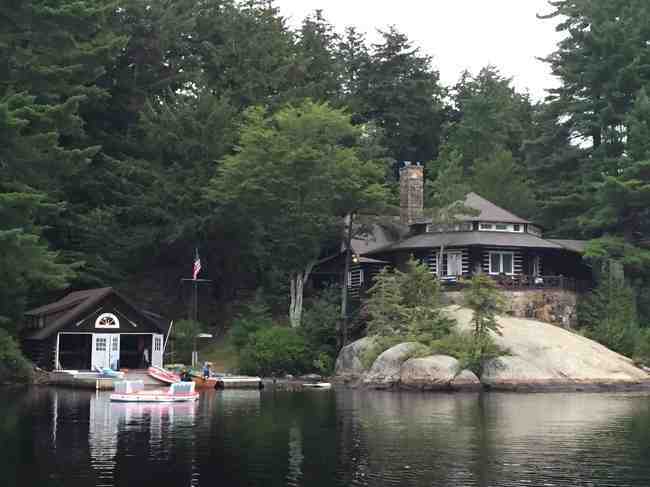 Offering impressive mountain and lake views, Three Star Camp is tucked away in the quiet woods of the Adirondack Mountains on it's own Private Lake with Island surrounded by thousands of acres. The camp's eight spacious bedrooms include private fireplaces while the large Living and Dining Rooms also include exquisite stone fireplaces. Activities are endless and include lakeside walks to mountain hikes, swimming or sailing, kayaking or paddle boarding, canoes and guide boats, fishing or shooting, backgammon to chess, ping pong or darts, and island picnics. Of course there's always the option to do absolutely nothing under the day's sunlit mountains and warm breeze while sipping your favorite iced tea beverage in your Adirondack Chair. Enjoy all the comfort as the Camp provides the perfect setting for family and friends, getaways and retreats. 4BR's have Queen beds and 4BR's have 2-twin beds each. All linens are included. A kayak, paddle board, canoe, sunfish and plenty of life jackets are available. 5% Franklin County Tax will be added to the total rental price.